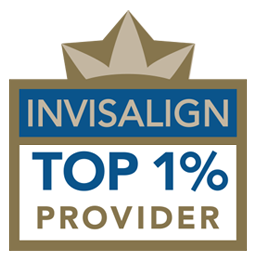 The field of orthodontics has seen a number of innovations over the years, and one of the biggest advances to date is Invisalign®. This effective method of straightening your teeth involves no metal braces and reduces much of the hassle associated with traditional orthodontic techniques. With Invisalign®, you can achieve straighter teeth and a brighter smile with clear aligners that are virtually unnoticeable to others! Please contact Dr. Chris Murphy to schedule a complimentary consultation for Invisalign® Clear Braces at Murphy Orthodontics today. Invisalign® is a system of removable, clear teeth aligners that can gradually pull your teeth into the desired position in a more comfortable treatment process. This orthodontic technique is designed to be effective for mild to moderate teeth misalignment, and can also help individuals with bite irregularities. Invisalign® is known for its ability to correct common orthodontic concerns in a discreet fashion, and without many of the functional and aesthetic drawbacks associated with other kinds of orthodontic treatment. During your initial consultation, our orthodontist will examine your teeth and jaws and talk with you about your options. If Invisalign® is ideal for your needs, Dr. Murphy can develop a customized treatment plan designed to address your concerns with exceptional results. Many people would like to fix the malalignment and the“crookedness” of their teeth; however, they can often be put off by the discomfort of traditional metal braces, not to mention the less-than-pleasing aesthetic effects of metal and wires in the mouth. Invisalign® addresses these issues by utilizing clear, removable aligners to straighten the teeth. The aligners can be taken out for eating, drinking, and brushing and flossing. Plus, many Invisalign® patients often achieve optimal results in less time than it takes with metal braces. Simply put: Invisalign® is a wires-free, more comfortable, and less hassle-prone experience for a large number of patients who would like to straighten their teeth. During the Invisalign® procedure, Dr. Murphy will first take an impression of your teeth so that the Invisalign® aligners can be custom-created for your mouth. Once the aligners have been designed, you will be given a series of trays to take home with you. Each set of clear tooth aligners is worn for about two weeks, and is then changed out for the next tray in the series. The aligners are each slightly modified from the tray that comes before it, progressively pulling your teeth into a straighter position. In many cases, Invisalign® takes only about 6 to 15 months to achieve optimal outcomes. With that in mind, the total treatment time varies from one patient to another based on each individual’s unique orthodontic needs and goals. Dr. Murphy will follow-up with you periodically during Invisalign® treatment to check on your progress. After about 6 months you should start seeing significant results! In addition to Invisalign® for adults, Dr. Murphy offers Invisalign Teen® for teenagers and adolescents who would like to correct common orthodontic issues in a more discreet way. Invisalign Teen® uses the same treatment model offered by the standard Invisalign® system; however, this variation is specifically designed for the particular orthodontic needs of teenage and adolescent patients. Invisalign Teen® offers a welcome alternative to traditional braces for individuals in this age group, helping younger patients reduce concerns about their appearance in a time of their lives that is often filled with school pictures and social events. For patients who may not be ideal candidates for Invisalign®, and for those who would simply like to consider other orthodontic treatment options, there are advanced alternatives to Invisalign® that can provide successful correction of many common concerns. A variety of braces options at our practice can be effective for mild, moderate, and severe cases of teeth misalignment and bite irregularities. Dr. Murphy offers a comprehensive selection of clear, ceramic, and traditional metal braces that can provide excellent results for both adults and children. The orthodontic braces available at our office include options that are placed on the back side of the teeth for the utmost discretion, as well as treatments that utilize smaller brackets and techniques designed to minimize overall treatment time. Once Dr. Murphy has performed your initial orthodontic evaluation, he can talk with you about your unique needs and goals and help you determine the best treatment option. The cost of Invisalign® ultimately depends on a number of factors related to your customized treatment plan; therefore, the total price is different for each patient. The severity of your orthodontic concerns, the number of aligners necessary for the best results, and other components of the treatment process will be taken into account. Fortunately, Invisalign® is often less expensive than other types of orthodontic techniques, and our practice accepts a wide variety of payment methods, including dental financing options, to make the treatment as financially convenient as possible. 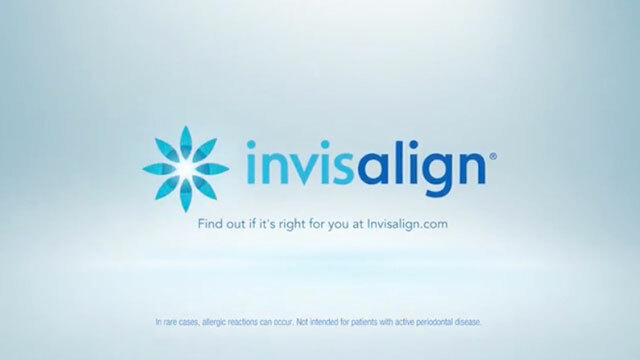 Learn more about the cost of Invisalign®. Do you have questions about Invisalign®? Contact Murphy Orthodontics today for more information, or to schedule a consultation.